Isle of Wight Hidden Heroes shines a light on those who have achieved innovative, fascinating, life-changing or awe-inspiring things whilst on the Island. With the initial seven Hidden Heroes we delved into the past to bring them to life and tell the story of the Island, from the Dinosaur Age right through to the Facebook Age. As the project developed, curators of museums and members of the public added their ‘heroes’ too, from disability campaigners to firefighters, from fundraisers to inventors, and from skateboard legends to champions of the Arts. 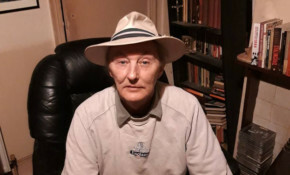 A campaigner for the rights of those in the trans community, a musician, artist and poet, Bruce Laker/Phaedra J Kelly passed away earlier this month. The funeral service takes place on Friday. Our thoughts are with all Bruce/Phaedra's family and friends. Tune into BBC Radio 4 Extra on Sunday or catch up via the Sounds App to hear how Julia Margaret Cameron changed portraiture forever, thanks to her life-size reproduction of the head. You can submit as many Hidden Heroes as you like – that way, the pride you have in your ancestors can be shared with the rest of the Isle of Wight. 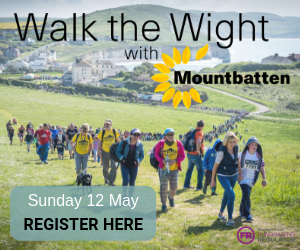 OnTheWight has the details of this project that celebrates remarkable people who have done remarkable things. Did you or a family member know powerboat racer, Joe Carstairs? Westward Ho! Productions are filming a documentary about Joe Carstairs and would like to hear from residents on the Isle of Wight who had a connection with Joe, whether that was personally or professionally. An artwork commissioned for the Isle of Wight Hidden Heroes exhibition has now been installed at IBM's headquarters on London's Southbank. They too, can watch the IW ferries crossing the Solent. In the United States today, they have a national holiday celebrating the birth of their maritime industry. We take a look at one American who had a big impact on the industry on the Isle of Wight back in the 1920s. You might not realise it, but meteorologist Tomasz Schafernaker is also a great artist. On Monday evening he'll be exploring Dimbola Museum and Galleries and learning more about Julia Margaret Cameron's pioneering photographic techniques. Did you know that Arwald was the last Jutish pagan King in England? He lived on the Isle of Wight, way back in 686 AD and is celebrated today, Sunday 22nd April, on St Arwald's Day. He died defending the Island from a merciless Anglo-Saxon barbarian. If you missed any of the Hidden Heroes talks over the last 11 weeks, this is a great opportunity to hear some of the historians once again discuss and debate their favourite Isle of Wight Hidden Heroes. Entry to Dimbola Museum and Galleries this weekend is just £2 per person as part of the Isle of Wight Hidden Heroes campaign. Find out more about the pioneering Victorian Photographer. This is your chance to see items from the Heritage collection that is usually tucked away in a secret location, find out more about some of the Island's Hidden Heroes and talk to Heritage experts. After collapsing suddenly a month ago and being airlifted to Southampton Hospital, Mei Trow has bounced back and is raring to go. Hear him talk on Wednesday about his Isle of Wight Hidden Heroes.